Today, Curve Digital announced that it has released an update for the PC version of No Brakes Games’ physics-based puzzler Human: Fall Flat for PC. The update will support eight new languages, as well as some Halloween-themed customization options coinciding with a 50% off sale. Human: Fall Flat now supports eight new languages: Turkish, Portuguese, Brazilian Portuguese, Polish, Ukrainian, Lithuanian, Thai, and Indonesian. No Brakes Games and development partner Sumo Digital have also prepared a spine-tingling treat to celebrate Halloween with the Human: Fall Flat community. This free update also includes five new hair-raising customisation options. Players will be able to deck Bob out with the Mummy and Skeleton Models, the Pumpkin Head, the Witch Hat and hairstyle, or the Hockey Mask. 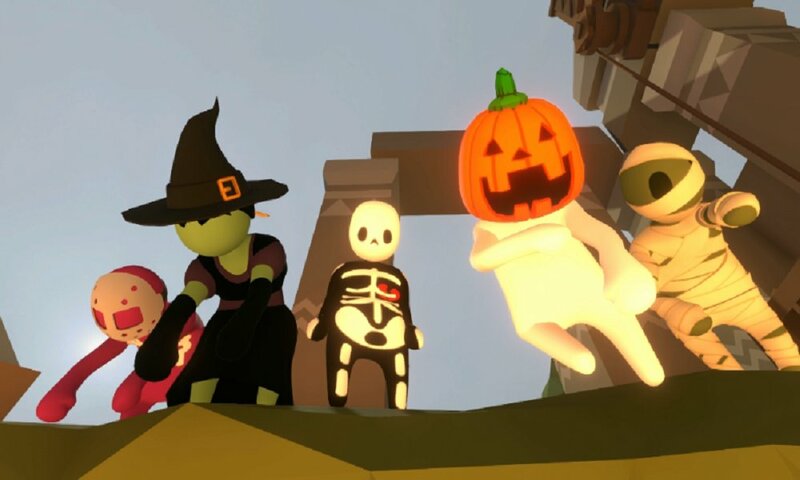 Don these ghoulish costumes either alone or with your friends in up to eight-player multiplayer in Human: Fall Flat’s scariest update yet. For our final trick, get 50% off from Steam and all leading PC digital stores from the 26th of October to the 1st of November, Happy Halloween everyone! Check out our review of Human: Fall Flat, and stay tuned for more news here on Gaming Trend.